It has been a while since Grounders Source shared any Con-Geda 2018 news, but now we have some very exciting updates. Not only has End of the World Events booked another great guest, but they also have gotten two of The 100‘s writers! Having the writers at Con-Geda is a special opportunity for the fanbase, as it will offer insight into the work that goes on behind-the-scenes. Additionally, the wonderful planners at EOTW Events have put together a special cast event that fans won’t want to miss out on. Continue reading to find out what the announcements are and to learn more details about the convention, taking place in June. -They’re one of the two medical doctors. -They’re intelligent and will put others first before themselves. -They have a close relationship with the other doctor. If you guessed Sachin Sahel, aka Eric Jackson, then you are correct. 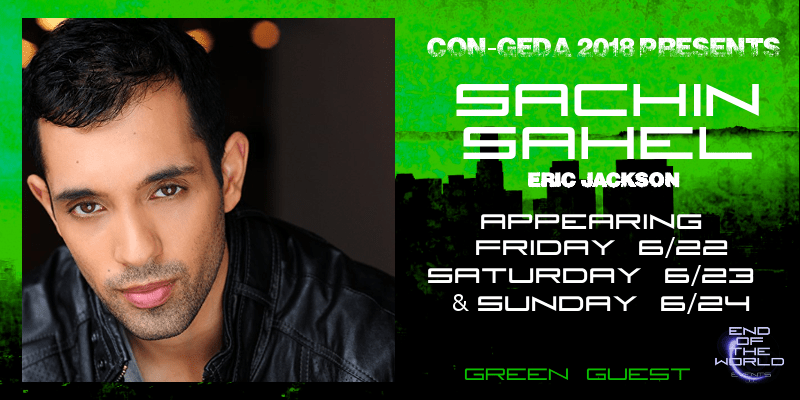 Sachin will be in attendance all THREE days (June 22-24th) at Con-Geda. 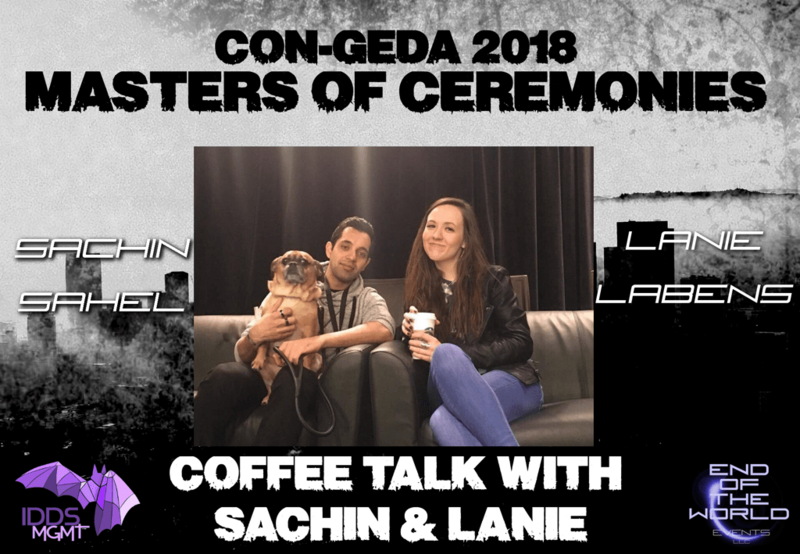 Aside from participating in autos, ops, and meet & greet sessions, Sachin will also be the official emcee of the convention, along with Lanie Labens of IDDS (the company that manages much of the cast). 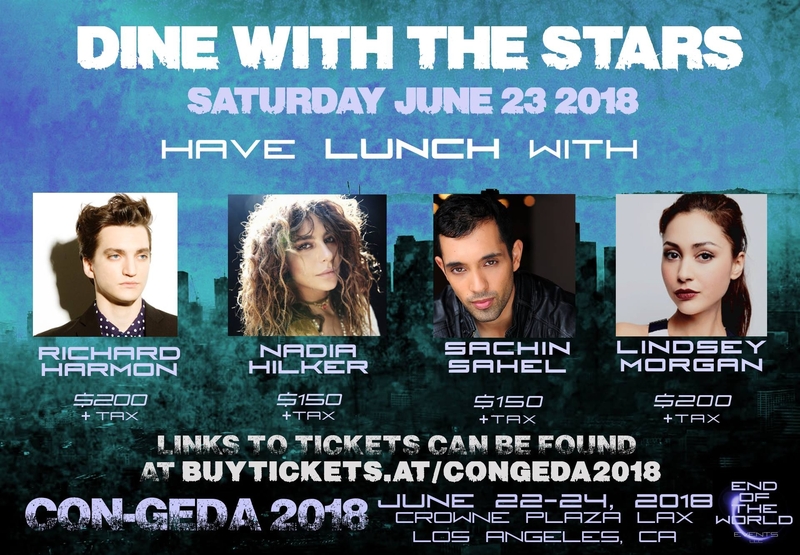 Sachin will be a green level guest along with Nadia Hilker, but will not be the last guest, so be sure to check back here for even more guest announcements. The second announcement is that Con-Geda will have a special panel on Sunday with two of The 100’s chief writers. 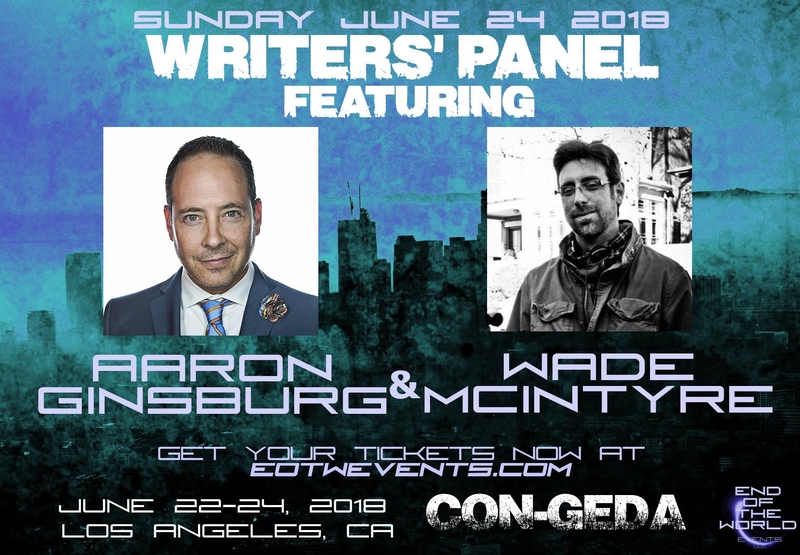 Co-executive producers and writers Aaron Ginsburg and Wade McIntyre will be discussing writing The 100 and engaging with attendees in a Q&A session during the panel. This is a rare and unique opportunity because fans will learn the behind-the-scenes magic of the series. After all, if not for the writers, producers, and directors, we wouldn’t have The 100. Lastly, on Saturday, fans will have the opportunity to have lunch with one of the guests. What a perfect pairing! Food and one of your favorite actors! All of the guests’ lunches will be held in one room, so if you can’t decide between them, you’ll still be able to see all of them. Special dietary requests can be made by contacting the EOTW Events staff. All attendees must be in possession of a pass if they would like to participate in the guest lunch. The guest lunches are not part of any pass package, have limited openings, and must be purchased separately. Please see the photo below for the guest lunch prices. This is a once-in-a-lifetime experience that fans should not miss out on. With these updates, Con-Geda is quickly transforming into a very memorable occasion on all levels—guests, planners, press, and of course the immense, creative fandom. Also, this is a great way for fans to attend a The 100 convention if they cannot travel outside of the United States to other countries who host them! Passes, photo ops, and extras can still be bought through the EOTW Events website. Booking a discounted hotel room at the four-star Crowne Plaza Los Angeles is also available through the event’s site, and there are several amenities to enjoy outside Con-Geda hours. 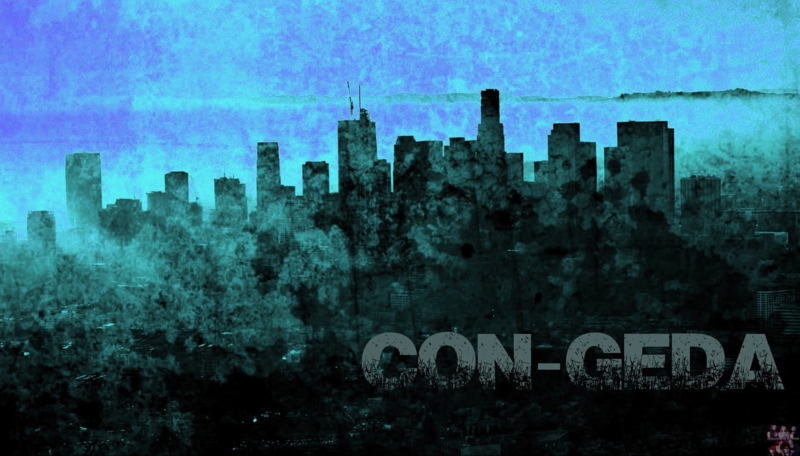 Be sure to check back here at Grounders Source and the Twitter page for Con-Geda to learn the latest information on Con-Geda.